Games2Rule Rainy Deer Forest Escape is another point and click escape game developed by Games2Rule team. 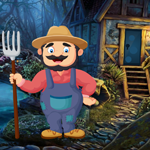 Play Games2Rule Rainy Deer Forest Escape game and have fun!!! Part of inventory disappeared part way through game and cannot continue. Maybe a glitch?